The New Jersey chapter meets regularly in central New Jersey to plan programs, projects and events. Our meetings are free and open to the public. We invite you to join us for a couple of meetings to see if we are the right fit for you. We usually meet the Third Sunday of the month, from 1:15-3:45PM in Somerset County. Occasionally, we meet on a different date. For more information, join on our mailing list. Our 2019 Flag Day Event at the Jersey Shore will again be held at the Asbury Park Senior Center. The event will run again from 11:00 AM to 2:00 PM. Scholarships will be awarded again. If you would like to participate, become a vendor, or sponsor the event, please contact us. Our 2018 Flag Day Event was held at a much larger venue, the Asbury Park Senior Center. The event again ran from 11:00 AM to 2:00 PM. 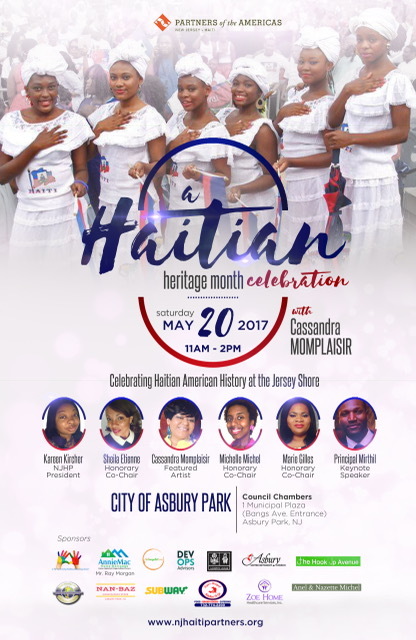 We are grateful for Congressman Pallone being our Keynote Speaker, and we were pleased to award scholarships to 3 seniors of haitian descent graduation from Asbury Park, Neptune, and Ocean Township. If you would like to participate, become a vendor, or sponsor the event, please contact us. It’s the most wonderful time of the year! 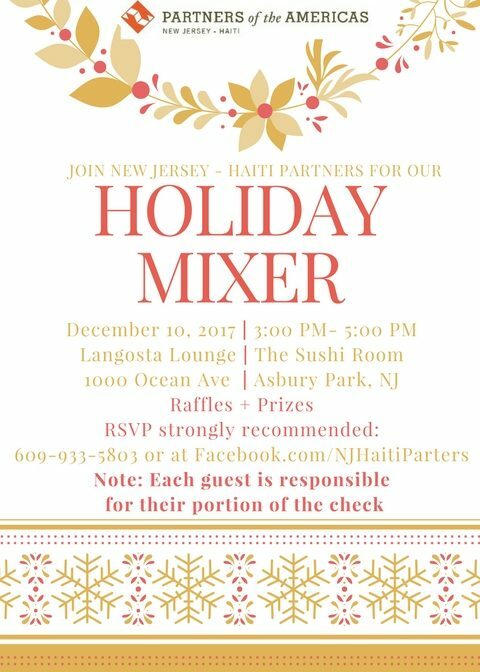 Join us for a our holiday mixer. Please note that there will be a single check for our reservation, and each diner is responsible to cover their portion. 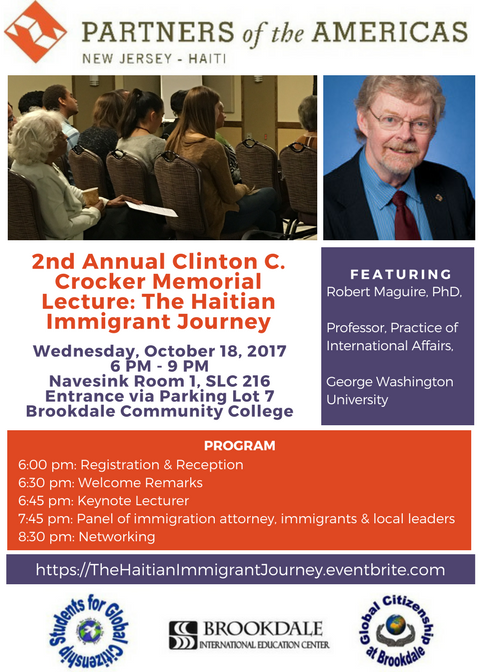 This fall, we will again present a free lecture on Haiti at Brookdale Community College on October 18th. This year’s topic will be the Haitian Immigrant Journey. 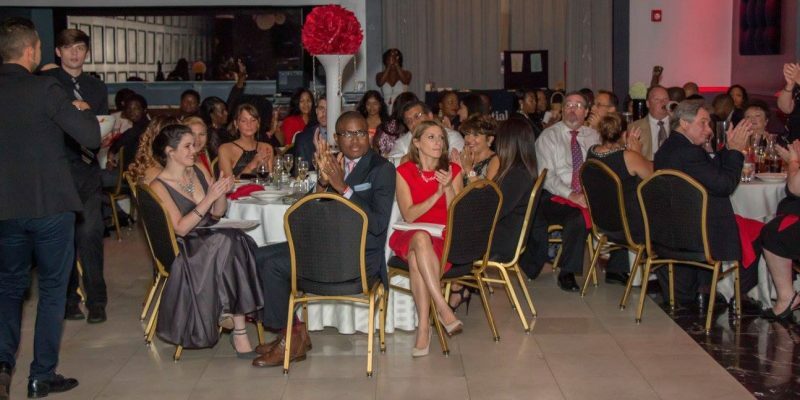 Our Third Annual Gala on September 23, 2017 is coming up! We always sell out, so please get your tickets early. Once they’re gone, they’re gone! 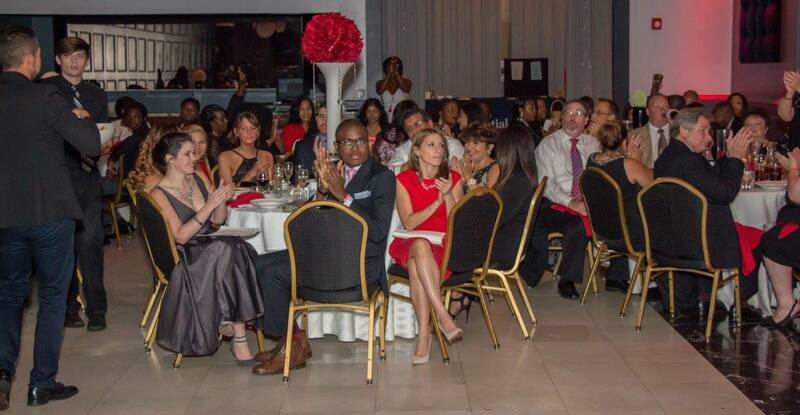 Visit pictures on our gallery page, or on our 2016 Sickle Cell Photo Album at https://www.facebook.com/NJHaitiPartners. 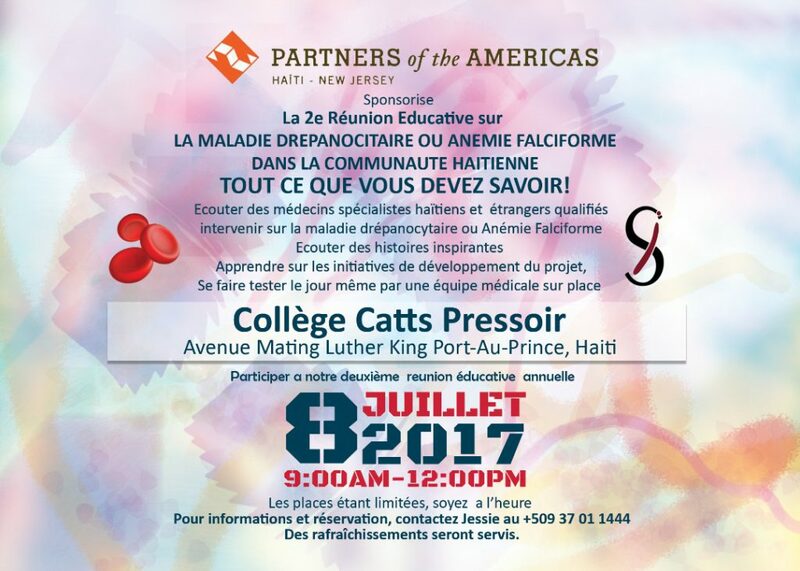 This summer, Haitian and American doctors and medical professionals will be in Haiti to teach people about Sickle Cell Disease and Sickle Cell Trait. Refreshments will be served. Please see below for registration information. Register and donate at http://2017flagday.eventbrite.com. Thank you to all our sponsors. Bring your friends to a FREE event that will make them friends of Haiti. We recommend pre-registration, as seating is limited. Visit pictures on our gallery page, or on our 2016 Sickle Cell Photo Album at https://www.facebook.com/NJHaitiPartners. Even more pictures coming soon!